Let’s do this. One Month. You + Me. If you’re always reading about nutrition, trying different diets, and end up with lots of information…but never really know how to lose weight in a healthy way for YOUR body and YOUR lifestyle. Let me help. What to eat for meals that is mentally & physically satisfying. The right snacks to choose that can actually manage hunger. How to satisfy sweet & salty cravings. What brands are the best to buy. Realistic plans for socializing, work events, travel, etc. And most of all…how to be CONSISTENT with all of it. 1 Nutrition Session. For 60 minutes, we will go over your goals, current routine, and create a detailed ACTION PLAN together. Simple, effective strategies & resources…just for YOU. 3 Accountability Check-Ins. 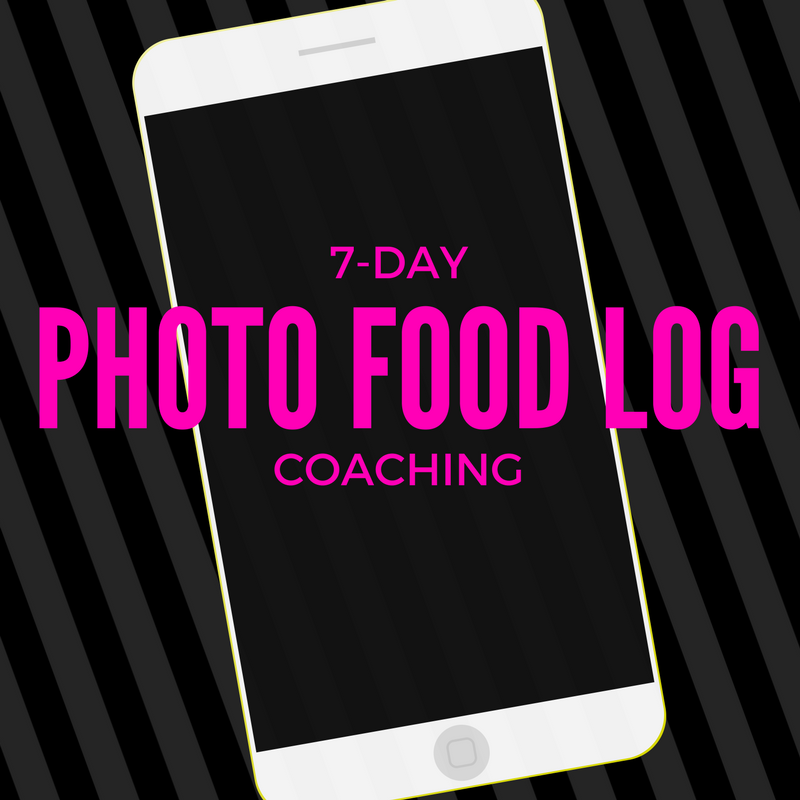 Once a week, we will talk on the phone to review success, struggles, and make sure you have all the tools/resources/recipes you need to feel good, have fun, and get results. 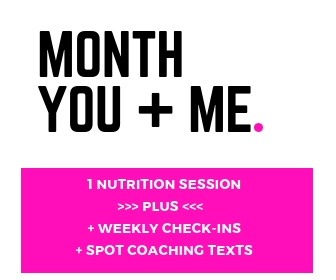 Unlimited Spot Coaching Texts. Last minute plans to go out to eat? Need a quick plan when temptation hits? I got you. Just text me…and we will problem solve right then & there.